Today in the “Center of gymnastics” Kazan opened the championship of Russia in rhythmic gymnastics. The ceremony was attended by President of the Russian Federation of Rhythmic Gymnastics, the head coach of the Russian Federation Irina Viner-Usmanov, Deputy Minister of Youth, Sports and Tourism of the Republic of Tatarstan Khalil Shaikhutdinov, vice president of the Russian Federation of Rhythmic Gymnastics, Olympic champion, world champion semnadtsatikratnaya, multiple European champion Evgenia Kanaeva, president of the Federation of Rhythmic Gymnastics Tatarstan Gulnara Sergeyev, chairman of the Committee of Physical Culture and Sports of the Executive Committee of Kazan Ilgiz Fakhri and other distinguished guests. “Dear participants of the championship of Russia, I am very glad that managed to get to these events. Today, watching your speeches, I got an incomparable pleasure. I am very glad that the artistic gymnastics Russia is moving forward and you – future champions, you are who will stand on a pedestal under the flag and sing the anthem of Russia. remember that victory – is to overcome, to overcome all the time myself “- admonished athletes Irina Viner Usmanov. I posted some photos on ZKG facebook, thanks Oleg Naumov!!! This entry was posted in Event, News, Slide Show and tagged Мария Титова, Maria Titova. Bookmark the permalink. Junior Julia is really good; she can dance! If I had been Romeo, I would have danced with her everytime. Everybody has your own life which is changing itself. There are in life sad moments which are begining new better life I believe. Only God can bind everybody in joy for ever and ever. If I had obeyed wise people like Shtelbaum I would be great programmer. Zhenya, you are my inspiration. Thanks to you too, @ZKG-Zoe Wan, for your great job, particularly for these artistic pictures (banners), there are very impresive. Gymnast’s body is like snake or junior snake 😉 . And my favorite from senior, Maria Titova, she becomes senior this year, she is sooo elegant, her style is very few among Russian gymnasts nowadays. BTW, I hope Vera Shtelbaums trains this little girl-Anastasia Shibaeva, she is really good! 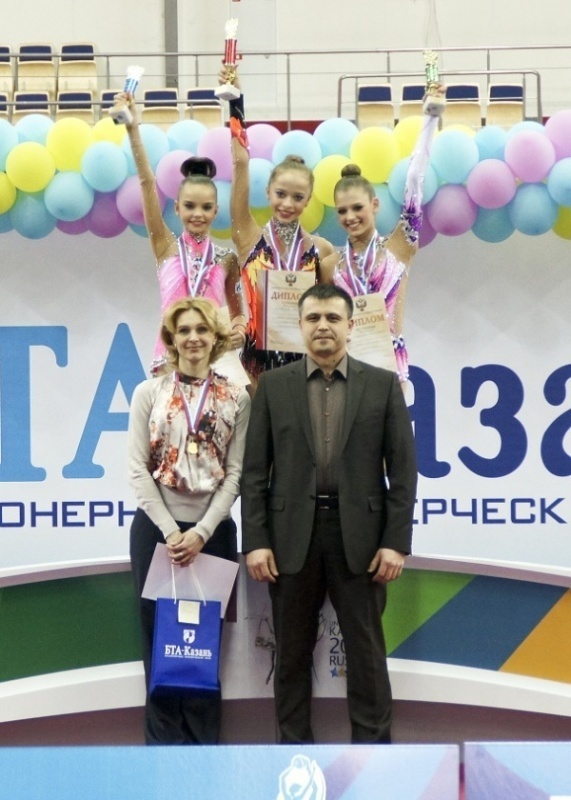 More over Shtelbaums already has a new student-a girl also from OMSK, Anastasia Kadochnikova, she becomes senior this year, I am waiting to watch her performance in GP Moscow 2013. Vera Shtelbaums has more time, because Zhenya is resting and thinking about her new career. Is it really true that Kanaeva won’t return to best form and won’t show how to win gold in Rio de Janeiro? RUS national group 10 clubs!!! I don’t like the music, especially the 2nd part, but this routine is amazing! Thanks to God, that Zhenya is not alone, that has many Followers! Of course, Joanna Mitrosz showed me “this way” during the time of London 2012 in her beautyful performance transmited on TV. Dziękuję! I want to thank Joanna Mitrosz – the polish gimnast, because she shaws me the way to Zhenya. Insert photos slideshow in this post. When can we see the routines online?